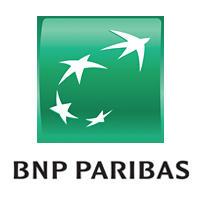 BNP Paribas ALM Treasury and EY have completed a pilot demonstrating the use of blockchain to improve global internal treasury operations for the bank. The ALM Treasury department, which manages the bank’s internal ops, at the service of all three operating divisions of the group, carried out the pilot, tested internally this summer. According to the duo, this pilot has highlighted how an internal, private blockchain could be used to “improve operational efficiency by providing a more integrated cash management approach between businesses, allowing greater flexibility and a 24/7 capability”. One highlight from the pilot was that the working hours are extended up to 11 hours. BNP Paribas says this provides a common view of liquidity positions across locations and can “boost the interoperability of the legacy systems” combining the private blockchain with the existing IT environment via software robots and APIs. In the lively blockchain arena, the issue of public and private blockchain can crop up now and then. Xavier Toudoire, BNP Paribas, head of ALM Treasury IT strategy and architecture, explains: “When used in a private manner, blockchain allows the development of different business and operational processes that previously were not possible due to the distribution of data or trust among the parties in the system. The project is part of a larger group of initiatives at the bank. An example it cites is the Cash without Borders by its transaction banking business. Buys US start-up’s crypto-asset accounting and tax functions. A new global innovation centre in Madrid promises to illuminate the uses of Big Data for banks and financial institutions. Built by EY (formerly Ernst & Young), the centre is part of a $500 million investment in analytics by the company. Investment plans in cyber, risk management and cloud-based tech. The Basel principles for effective risk management offer a chance to transform information management that should not be missed.